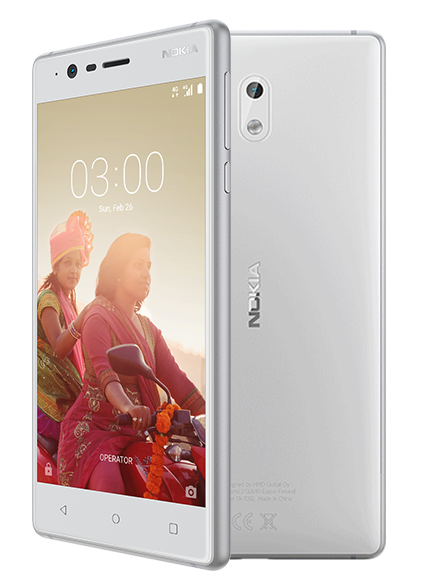 The Nokia 3 is HMD Global’s first low-budget smartphone since acquiring the Nokia brand name. Basically, its features are targeted towards those looking for a good enough Android smartphone having 4G LTE support and retailing for under 50k. 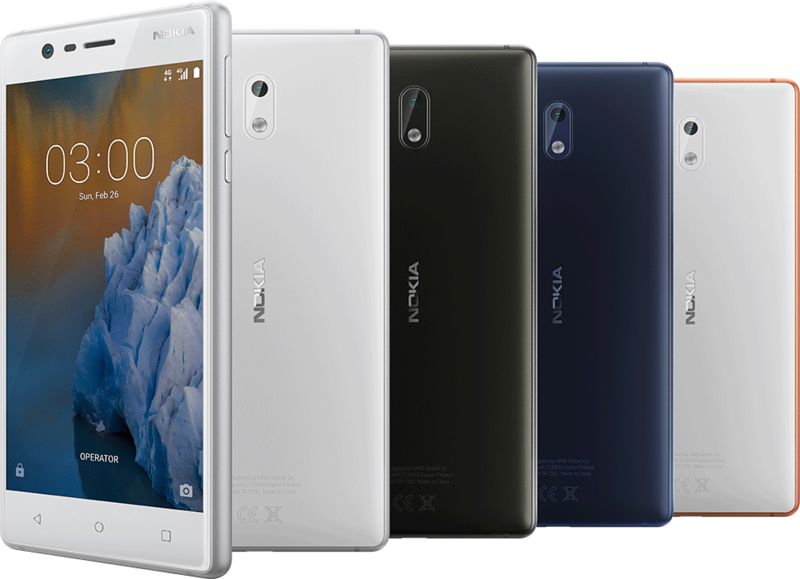 Nokia 3 is a 4G enabled dual SIM smartphone which runs on the version 7 of Android (Nougat) out of the box. This kini is a sturdily built plastic device in a metal frame which features a 5-inch IPS LCD display having a resolution of 720 x 1280 px and hence a pixel density of about 294 PPI. Under its hood sits a quad-core MediaTek chipset (MT6737) clocked at 1.4GHz and an accompanying Mali-T720 GPU for pushing graphics. Alongside those is 2 gigabytes of RAM for multitasking and ensuring you have a lag-free experience on the device. Storage-wise, you’re gonna have to make do with the 16GB of space that ships with the device. If that would not suffice, you can throw in a microSD card to expand the space. Supplying power to the device is a 2630 mAh Li-Ion battery which is non-removable by the way, and thanks to the device’s lack of the type C connector, you’d have to rely on a microUSB 2.0 cord to juice to the device at a peak input of about 2A. For snaps, the front facing lens is an 8 MP shooter without its own LED flash light and at the back is a camera with another 8 MP lens accompanied by an LED flash light beneath it for providing illumination in low-lit environments. At the moment, the Nokia can be picked up both online and offline for around N45,000 depending on your location in the country. For an ‘under-50’ device, the Nokia 3 should be good enough for most people. However, if you are someone who is keen on getting a cheap Android smartphone with a fingerprint sensor, there are other options you can consider.